In the true spirit of the game? Swindon Town could face sanctions after they made wholesale changes to their side in their recent clash with Preston, the Citizen understands. Last Saturday, Swindon manager Mark Cooper, pictured, made seven changes to his side in their 3-0 defeat to Preston - a game with significant repercussions for Dons, who are still locked in a battle with North End for promotion. The Robins were back to full strength again on Tuesday night for their 1-1 draw with Colchester - a decision which irked Dons boss Karl Robinson no end, admitting at the club’s Player of the Year ceremony, he’d love to ‘batter’ Swindon at Wembley should the two sides make the play-off final. It is also a choice believed to have riled clubs fighting at the other end of the table especially given that Swindon end their campaign with a fixture against relegation battlers Leyton Orient. 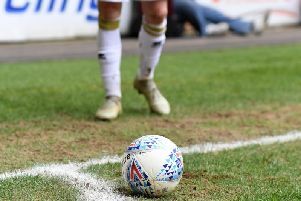 With just a point separating Dons and Preston in the battle for second, Dons could find themselves heading into the play-offs with the highest points score ever to miss out on automatic promotion, something which Robinson admits is a bug-bear. However, he says football, like life, isn’t always fair. “We’d be frustrated to finish with 91 points,” he said. “And we could be 23 points clear of the team we have to play in the play-offs. “That’s almost quarter of a league season. It doesn’t seem fair, but football isn’t fair.